If you’re looking for an easy way to bring quirky, individual style to your yard, try these repurposed garden container ideas. Look around your home for old and disused items that may make great additions to your garden. Old pails, doors, kitchen ware, and bicycles make fun planters. You can even visit the thrift store for ideas. Some of these ideas are classic, from pails to wooden crates, and others are novel, like rubber rain boots. One trend that runs through these container ideas is mixing different types of flowers and greens together, like herbs and succulents. Succulents are another current trend in the gardening world, and they are represented here with several different ideas for showcasing these unique plants. For a show stopping display, try planting a large cast-iron bathtub. For accents, try using small metal containers. These can provide a pop of color to a corner or table. 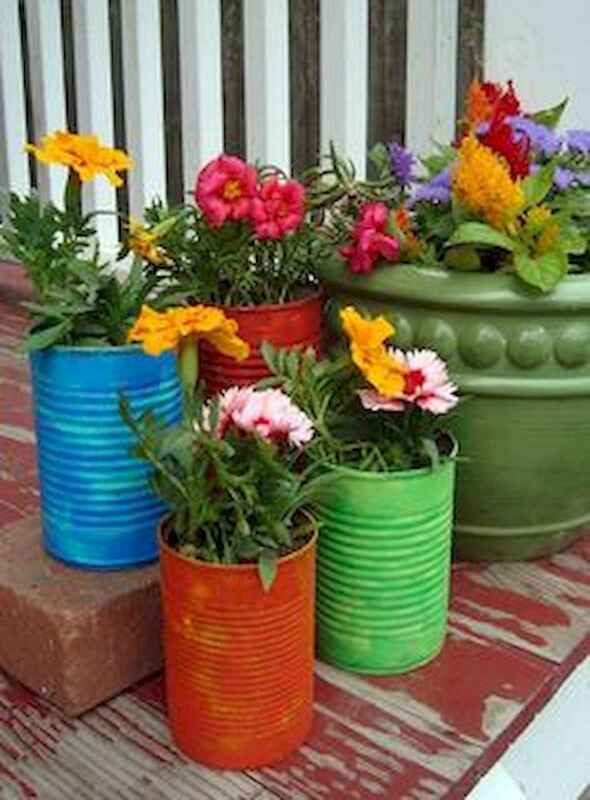 To use these fun repurposed ideas, all you need are some unused objects, your creativity, some annuals or perennials, and maybe a few cans of paint. Your garden will reflect your individual style, and your guests will be talking about your displays.